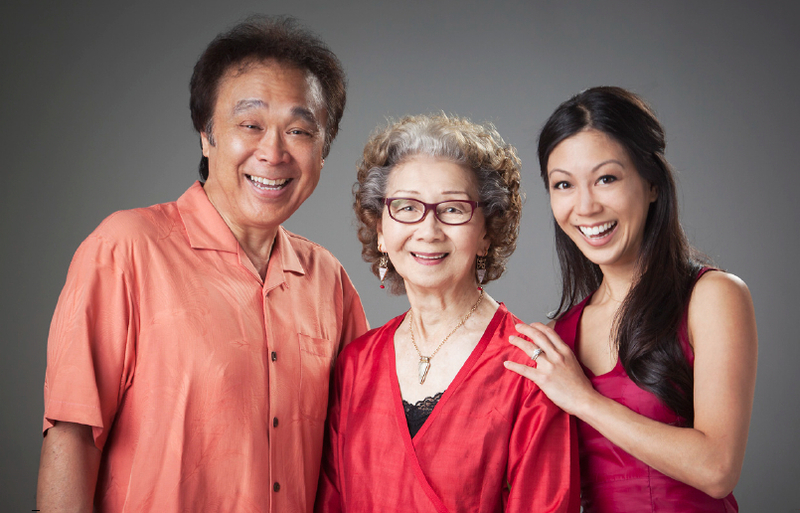 Songbird of Manzanar to join Tex Beneke Orchestra at follow-up to last year's concert. There will be some of that “Old Black Magic” at the Mirada Theatre in La Mirada on July 12, promised Mary Kageyama Nomura. Nomura, known as the Songbird of Manzanar, will be singing the Harold Arlen standard at the Great Nisei Reunion II accompanied by the Tex Beneke Orchestra. Despite a career that spans 75 years, the concert will be the first time Nomura will be singing with a big band, and she was giddy with excitement at the thought. One of Nomura’s first public performances was at the Nisei Week Talent Show in 1940. Her vocal talents were an inspiration to incarcerees in Manzanar, where she sang at dances and talent shows. Most recently, she performed at the farewell luncheon in March for the Japanese American Historical Society of Southern California. “I’m so excited. Never, never in my life have I sung with a big band, it’s always been with a combo,” Nomura said in an interview with The Rafu Shimpo. She has been working with an arranger and although recovering from a recent fall that has had her walking with a cane, she promised to give it her all. I’m going to try my hardest to do my part and make a little bit of a show,” said Nomura, who will turn 90 in September. The concert is a follow-up to last November’s successful Great Nisei Reunion held at the Aratani Theatre. Joining the line-up are the Mills Brothers and the Island Crooners. Brittany Ishibashi, who is appearing in the 2016 sequel to “Teenage Mutant Ninja Turtles,” will once again emcee. Gerald Ishibashi is producing the show, and he said the success of the first show and the urging of many Nisei inspired him to stage a sequel. Ishibashi said Great Nisei Reunion II is an event for Nisei parents to share with their Sansei kids. “There’s time issues, the Nisei are getting older, so you know what? Let’s not wait another year, let’s do it now. Let’s give them a grand experience,” he said. It will be a real family event for Ishibashi as well: Brittany is his daughter and Nomura is his mother-in-law. He said he was happy to give Nomura an opportunity to perform with the orchestra. “This is a gift from our family. We’re going to have her sing with Tex Beneke Orchestra,” Ishibashi said. While Beneke passed away in 2000, his band continues to perform. During their set, the orchestra will do a tribute to Glenn Miller. Great Nisei Reunion II takes place on Sunday, July 12, at 2 p.m. at the La Mirada Theatre, 14900 La Mirada Blvd., La Mirada. Free parking. Tickets: $60 and $45. Special offer: Buy one ticket by June 22 and receive a free ticket of equal value. For more information, contact Stonebridge Entertainment at (310) 627-7272 or www.StonebridgeEntertainment.com. Performers will include the Tex Beneke Orchestra (pictured), the Mills Brothers and Island Crooners.